Injectable facial fillers are designed to smooth facial lines, wrinkles, and scars, and to enhance lip definition with minimal to no downtime. The goal of minimizing wrinkles is clearly visible after only one treatment. Our experienced practitioners have been recognized for being part of the top 3 injectors in the state and are dedicated to providing you with your desired result. The following are the types of safe, effective, and FDA-approved dermal fillers that can meet your different aesthetic needs. To learn more about the benefits of these dermal fillers, please visit the individual sections. Although the administration of dermal fillers is non-surgical, patients still need to have a consultation with an experienced patient coordinator before getting the treatment. This will ensure that you will receive the recommended treatment suitable for your unique case. A consultation will also ensure that the level of risks and complications are reduced, if not eliminated. Before your consultation, it’s best to schedule an appointment to ensure that your visit is in-depth. 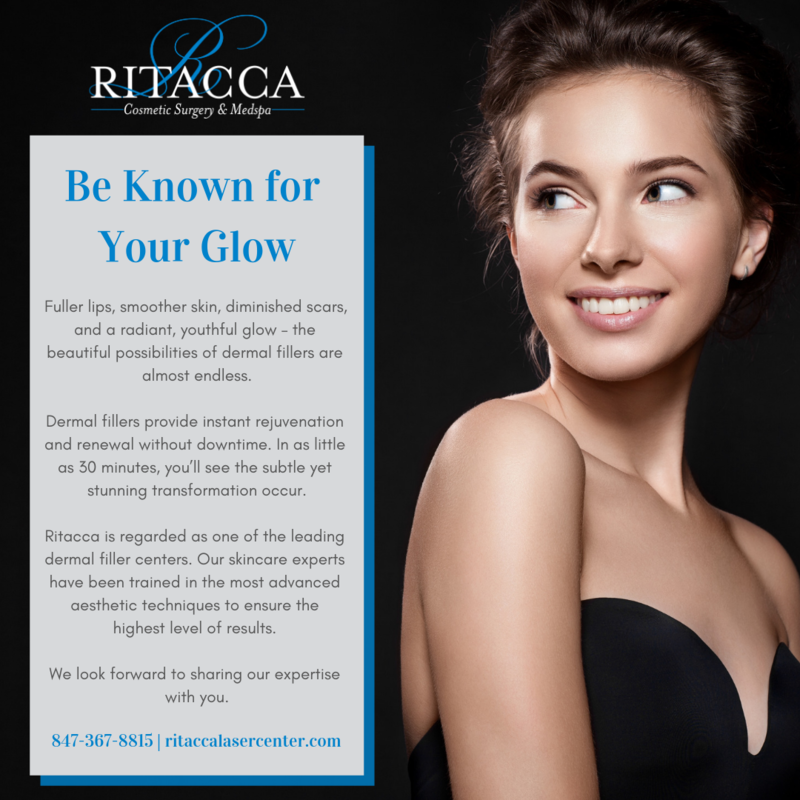 At Ritacca Cosmetic Surgery & Medspa, we offer free consultations to help you determine what type of dermal fillers are appropriate for your unique aesthetic needs. During your consultation, you will discuss your aesthetic goals, medical conditions, drug allergies and medication history. You should also be ready to talk about any past treatments you’ve had, including BOTOX®, laser therapy, dermal fillers, and other non-surgical facial procedures. A photograph will be taken to help examine and measure your face, and this will help us decide on a treatment course that will best give the results you want. During your consultation, it’s important that you ask questions about dermal fillers. Doing this opens a line of communication that will help both of you come to a mutual understanding about your desired results, and the procedures and dermal fillers that can achieve them. The esthetician or doctor will examine the treatment areas of the face, and mark the appropriate injection sites for the dermal fillers. Photographs may be taken if necessary. The injection sites are cleansed to avoid infection. The doctor or nurse will then apply a numbing cream or local anesthesia to help make the entire process comfortable. Injection may take a few seconds per site, as the process may involve injecting, massaging, and evaluating the treatment area to see if additional dermal fillers is needed. Once the results are satisfactory, facial markings are cleansed. What makes dermal fillers appealing is that there’s no downtime required. Your normal activities may be limited to only less strenuous ones, but you may return to work or your daily activities following the treatment. We use a non-bruising cannula that creates a much more comfortable treatment while greatly reducing the occurrence of bruising. Request the cannula at your next dermal filler treatment! We also treat bruising with a laser treatment; three days after your dermal filler appointment, call us to schedule a laser treatment that reduces purple and red bruises by 50% in one day (minimal fee may apply). Your doctor may prescribe topical icing to help alleviate any mild discomfort you may experience. To help determine what kind of dermal fillers will meet your needs, check out past procedures and results.